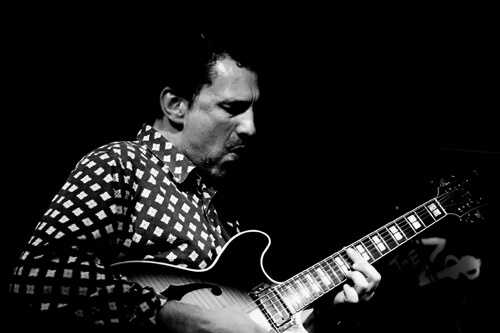 Guitarist and composer Stefanos Andreadis has collaborated with many important musicians in concerts, international Jazz festivals and recordings for radio and television. 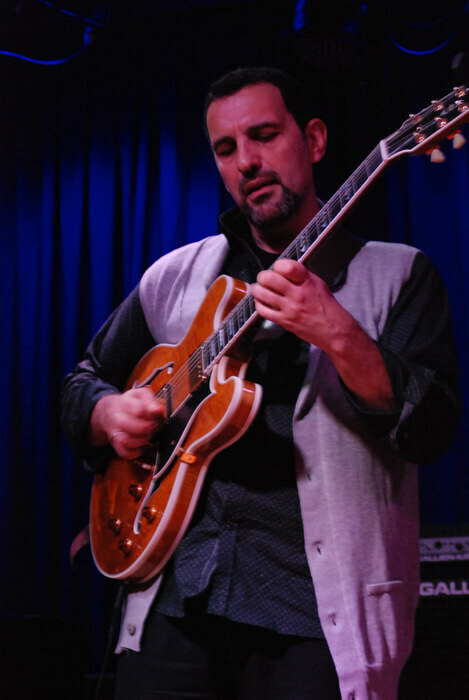 With brilliant studies in Greece and the United Kingdom, with a Ph.D. in composition, he is since 2007 a member of the teaching Jazz Music Department of the Ionian University. 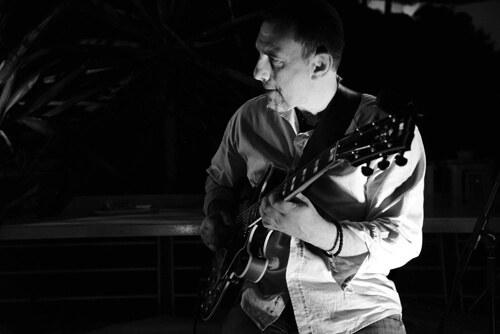 In May 2010, he recorded with Dimos Dimitriadis, George Kontrafouris and Alexandros Drakos Ktistakis, his first personal album which includes 8 songs of his composition. Flying Jazz is a modern jazz quartet built around the electronic sound of Hammond Organ (the album realized in September 2013. In December 2015, Stefanos recorded the second ‘Flying Jazz’ Album (To Eternity)... published in April 2017) with the same group and the contribution of the trumpet player Andreas Polizogopoulos.